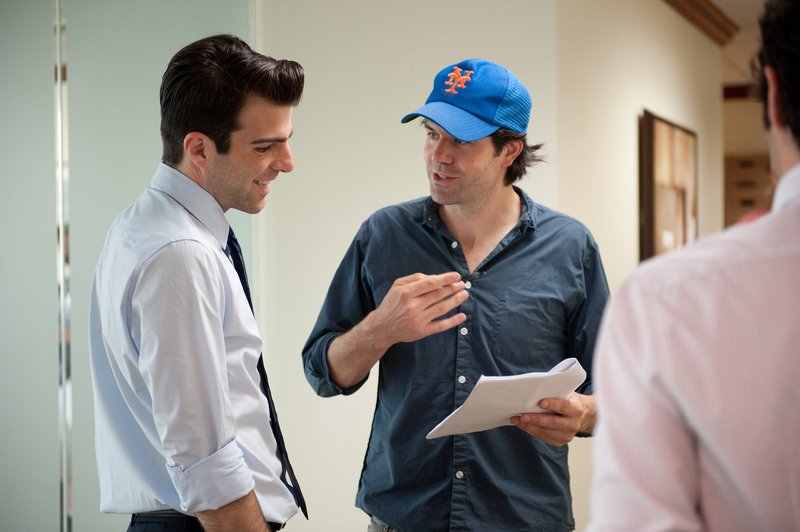 Actor Zachary Quinto (2009’s Star Trek, Heroes) started his production company, Before the Door, in 2008 and its first film, Margin Call, is being released Friday. The film is a thriller entangling the key players at an investment firm during one perilous 24-hour period in the early stages of the 2008 financial crisis. Entry-level analyst, Quinto’s Peter Sullivan unlocks information that could prove to be the downfall of the firm; a roller-coaster ride ensues as decisions both financial and moral catapult the lives of all involved to the brink of disaster. 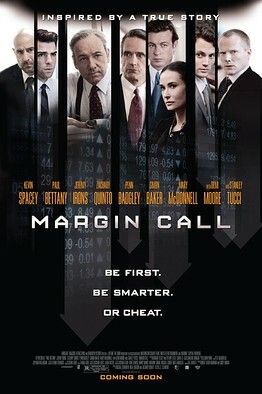 Margin Callis written and directed by J.C. Chandor, his first feature film. He doesn’t know if the timing of the film’s release during the Occupy Wall Street movement will help the film’s marketing efforts. Chandor said he has visited the New York City Occupy Wall Street site. “It’s very inspiring that people are actually out in the street having their opinions heard,” Chandor said. Chandor said he will have to wait and see if the movement helps the film at the box office. Chandor doesn’t think it will be a challenge marketing a film about an unsympathetic company taking advantage of people. Chandor mentioned two reasons for people to see the film. Along with Quinto, the film stars Kevin Spacey, Paul Bettany, Jeremy Irons, Simon Baker, Demi Moore, and Stanley Tucci. Chandor said the 17 day shoot helped the film land actors with very busy schedules. The shooting schedule was “very short in the world of filmmaking,” he said. The performances turned in by Spacey and Irons were everything Chandor could dream of as a writer and director, he said. Chandor said Spacey inhabited the character and made it his own. 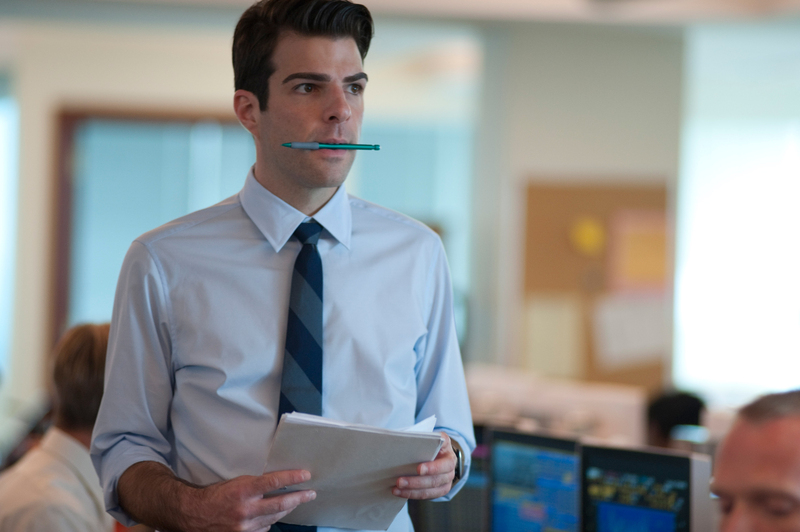 Quinto prepared for his role by shadowing some Wall Street workers at Citibank. three years ago, he said. for the theaters showing the film.